Legal marijuana sales will kick off in Canada on Oct. 17, and a shocking amount of early money will potentially flow into the country. 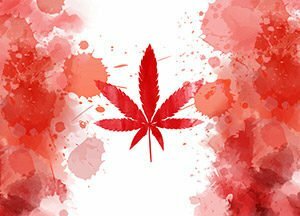 From Oct. 17 until the end of the year, Statistics Canada expects the country's legal cannabis sales to soar as high as $1.02 billion. And that's just the start of how much money will be spent on cannabis in Canada. Canadians spent $4.8 billion on illegal marijuana purchases in Q2, according to High Times. 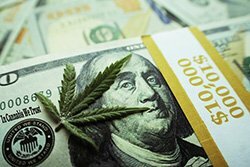 As more dispensaries open and more legal marijuana is sold, money in the black market will flood into the legal market. You see, this single change to marijuana law opens the door to tens of billions of dollars. And we think it's going to mint a brand-new generation of millionaires. That's why many U.S.-based companies are already moving north of the border. For the first time, they're looking to list on the Toronto Stock Exchange instead of the U.S.
And it's not the first. 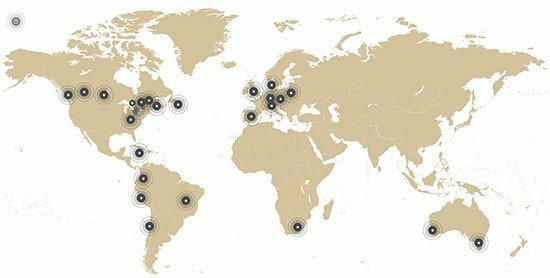 In the last few months, we've seen U.S. pot companies like MedMen, Liberty Health Sciences, and Chalice Farms list their companies in Toronto… with more announcing their intention to do so as soon as they can. This is a situation unlike anything we've ever seen. And it's so critical that, for the first time ever, we've invited all 2.6 million Money Morning subscribers to listen in to this urgent marijuana briefing so that you can hear the details for yourself. We want you to have a chance to experience what it's like to watch a single investment change your life forever.